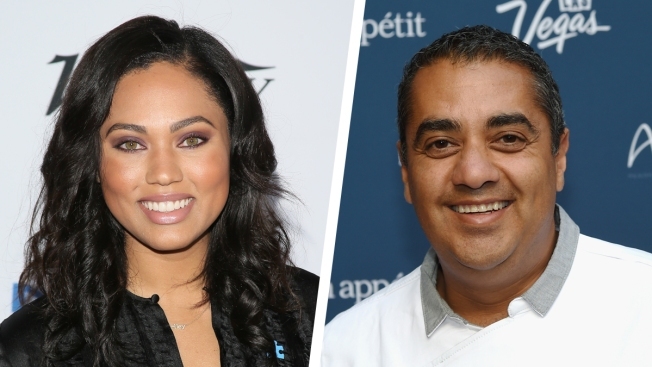 Ayesha Curry and Michael Mina are poised to unveil a pop-up restaurant, named International Smoke, starting June 4. Since it opened doors last summer, Mina’s Marina-based Test Kitchen has offered diners a smorgasbord of Middle Eastern, Indian and Italian-American fare, according to SFGate. Now, he’s changing things up. The theme at International Smoke will be all things barbecue. The $45 four-course menu promises to be influenced by Curry’s Chinese, Jamaican, African American and Polish roots. “As Michael and I talked, this idea was born. It embodies every aspect of the flavors I cook with and it is representative of the different cultures I grew up with and around,” Curry said in an email to SFGate. The 27-year-old is married to Stephen Curry, MVP of the reigning NBA champions, the Golden State Warriors. In announcing International Smoke on her Instagram account, Curry wrote: "A lighter fresher take on barbecue from all over the world! Everything from hummus to chili to ribs and fixin's... Did someone say double dipped onion rings?!!! ������"
Diners can expect tweaks to the menu, which is slated to feature items from Curry’s upcoming cookbook, “The Seasoned Life: Food, Family, Faith, and the Joy of Eating Well,” roughly every month, the SFGate reported. International Smoke will be open Wednesday through Saturday nights until the end of the summer. Exciting news everyone!!! @chefmichaelmina and I are doing a pop up restaurant @minatestkitchen starting June 4!!!! Tickets on sale now. Check the link in the bio and come dine and experience International Smoke with me!!!! !